Surprisingly our produce is inexpensive and usually in good to great condition at my HEB. Conversely, one of the expensive Korean markets has how you say...? 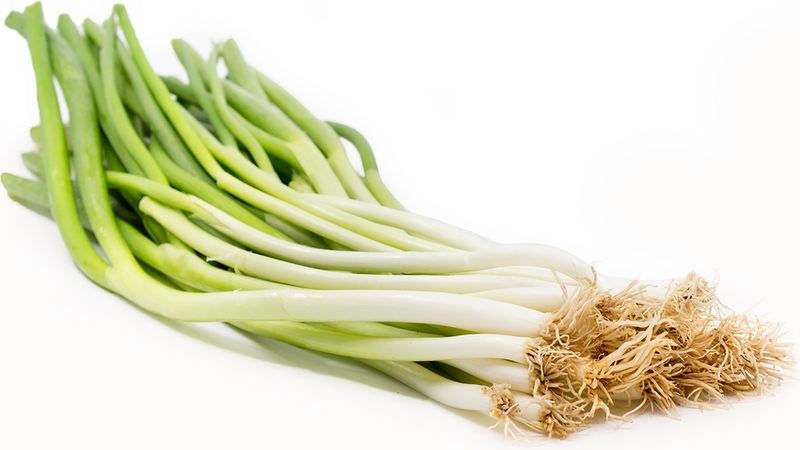 Etiolated green onions... 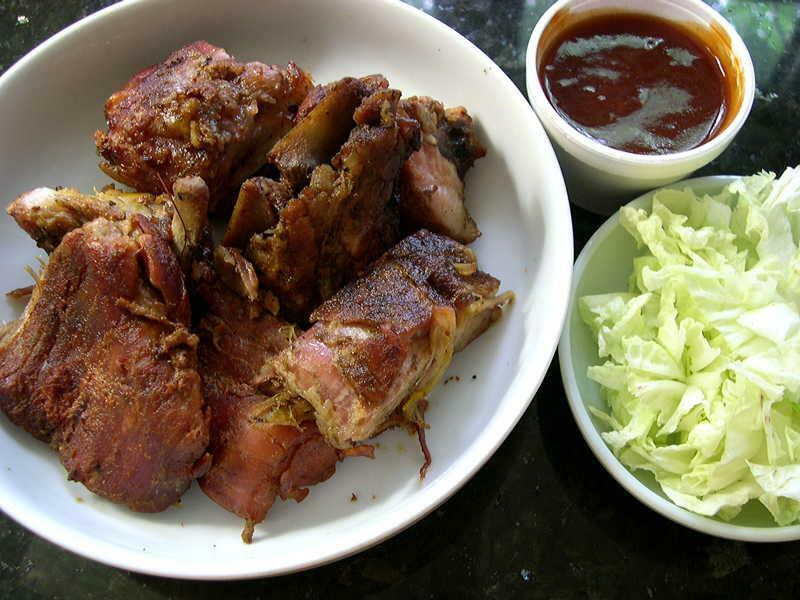 But Hung Phong is a bit more down to earth and fresh especially on Saturdays. Boxes and boxes of iced fresh fish leaking on the floor and the vegetables Asians favor. It's where I get my pork belly. All gone by mid afternoon. 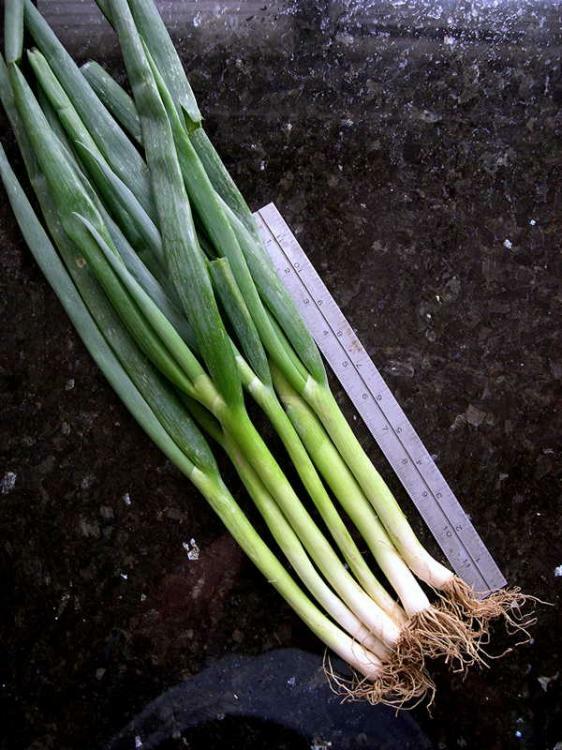 Pretty sure one can grow green onions near year round in my area so that's on my list. I sure use a lot of them. "Yu Choy" a.k.a. "Choy Sum"
Those "etiolated" green onions in the Korean market - by any chance did they look something like these or these (but smaller, maybe)? 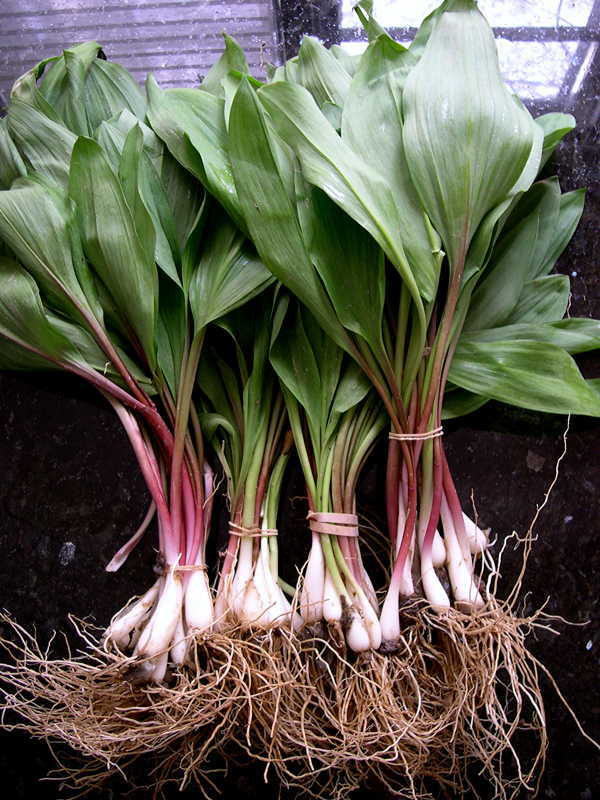 If so then they were purposely grown that way, using selected varieties of (usually) Allium fistulosum. Called negi (as the most generic name) in Japanese. (and, a Korean market is likely to carry Japanese stuff as well as Korean stuff, even more than a Chinese place or an "Asian" place while "Pan-Asian" places should have at least some Japanese stuff, of course.) 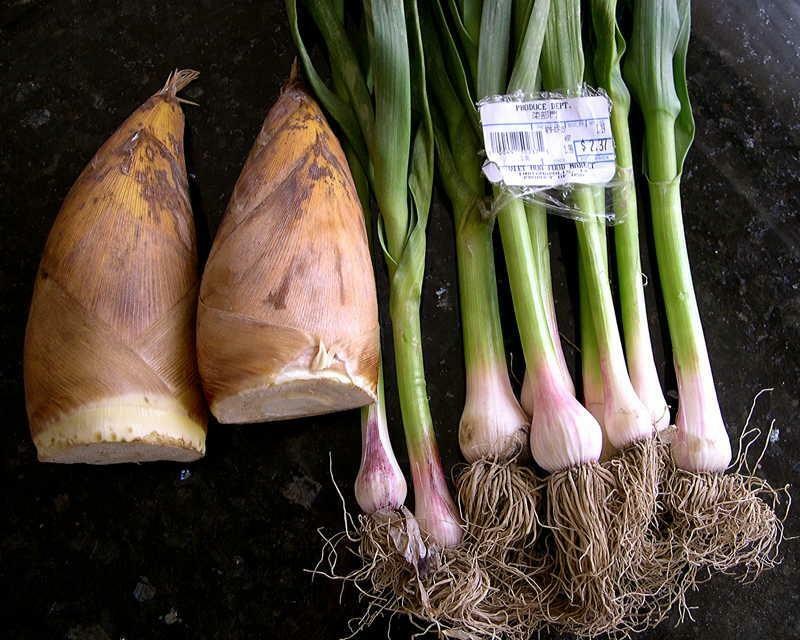 There have been discussions about negi here on eGullet also. They looked like some slightly overgrown green onions that had yellowed- perhaps due to lack of nutrients and/or light or age. Long white stalks... perhaps: I was drawn to them even though they weren't as fresh looking. Pretty sandy so I just assumed they were local, as in someone's backyard patch. We always say we'll go after dinner, but when we are done, we all just want to go home. The photos on the site linked look so clean and spacious, as opposed to the narrow and cramped Asia Mart. Will definitely go and check this out. Thanks for the recommendation. 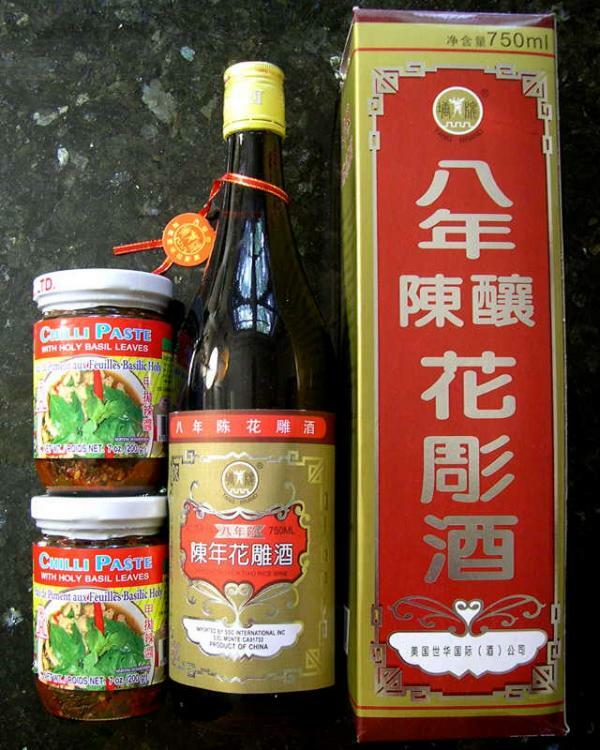 With Kim Shook coming in June, maybe we can take her, as well as stock up some goodies to cook while she is here! 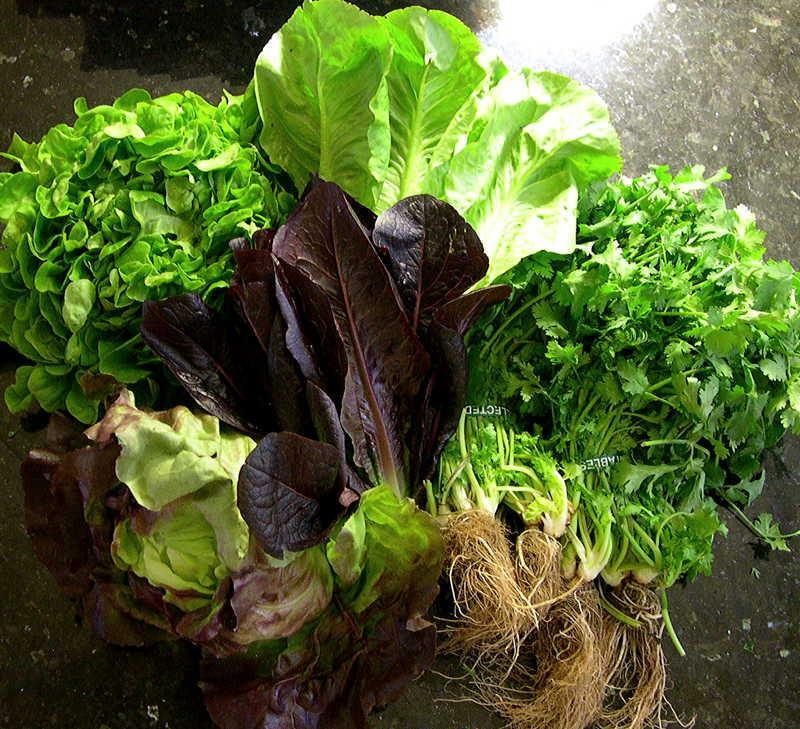 Some of the things I came home with from the Indy Winter Farmers' Market. Ramps!!! These came from just south of Bloomington, IN. 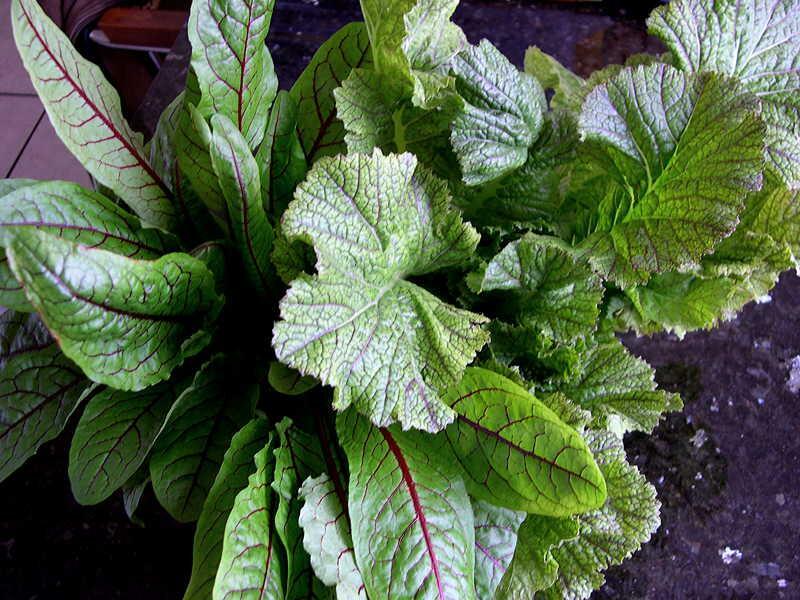 Red-streaked sorrel & Dragon Tongue mustard greens, both hydroponic. 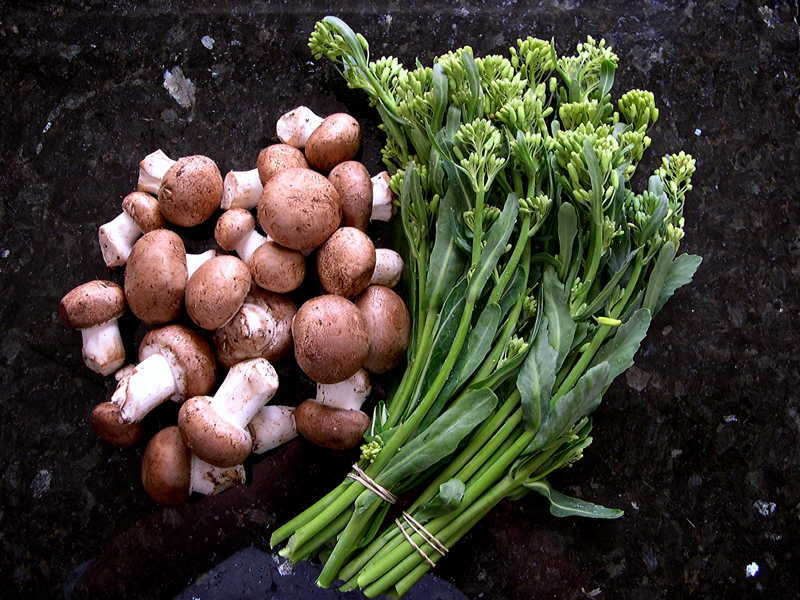 Fresh-picked baby portobello mushrooms (and some giant shiitakes), grown by a fellow who looks just like the protagonist from that excellent TV series "Breaking Bad" :-) ; and beautiful fresh broccolini. With regards to this earlier post and this one as well, I picked up some small/slender "larger-type green onions" from a large Vietnamese grocery/supermarket (Viet Hua) today. This place has always had these but usually larger (2-3 times as fat & longer, which were also present in the bin today) and labeled as (Mexican) cebollitas - which they probably really are. I use them as substitutes for negi. Other places also sell these "cebollitas" around here. Radtek, perhaps you might have a passing interest in seeing these. I actually looked for them today at Hung Phong. Their "big day" is on thursdays so missed out- thought it would be today. Otherwise I found frozen duckling with head and feet on for $2.49/lb so I got a 4.5 lb bird. And some Nem! ** The car and house (currently) smelled/smells pleasantly of the sausage...very very nice. 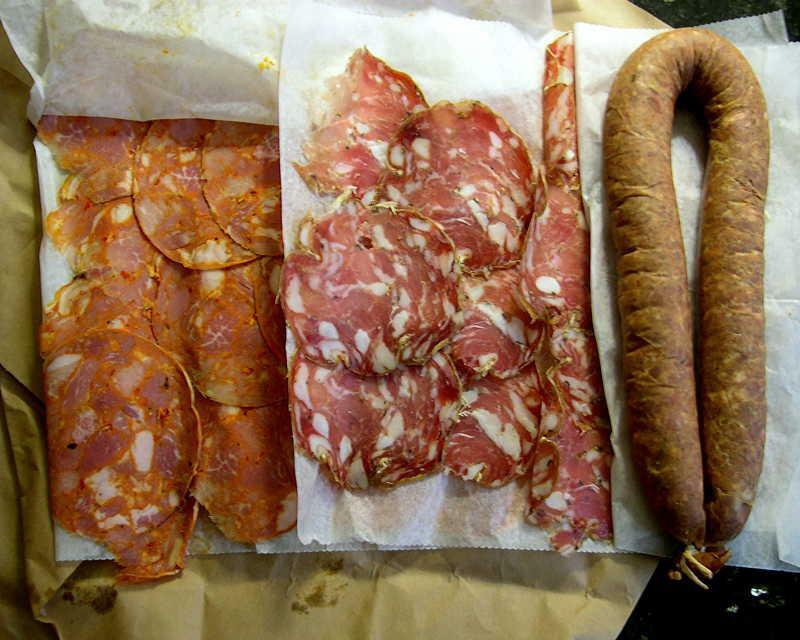 L to R: Hot capocolla, Dodge City salami,¶ Andouille sausage. ¶ I had wanted some Finocchiona salami but they were out of it. (I have bought this at various times over many years at Goose the Market) Their Dodge City salami is close – instead of fennel it uses fennel pollen instead plus some other minor tweaks. Caroled, have you been to Goose the Market? huiray, that's a beautiful haul. 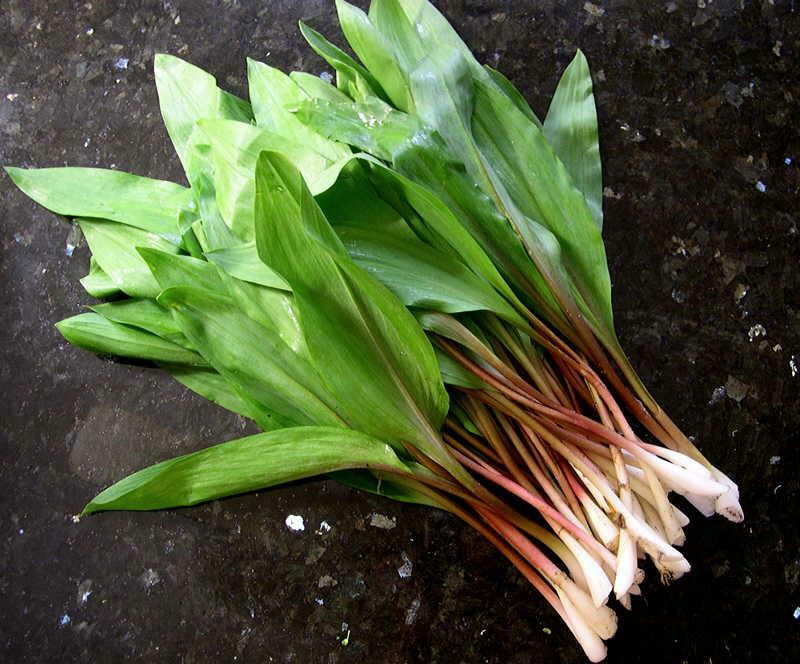 I'm looking forward to finding ramps soon, either in our woods or at our farmers' markets. The capacolla and salami look wonderful, too. Will you use those for snacks, or in something? Thanks, Smithy. I guess you are heading back to Minnesota? The capocolla was really meant for a sauce w/ broccoli rabe/rapini (which I also picked up) and sun-dried tomatoes, with pasta...but who knows. The Dodge City salame is for chomping on. Truth be told, I've already munched on both. :-) The andouille is for whatever comes to mind, although I doubt I would make a gumbo with it - just not something I would normally do. 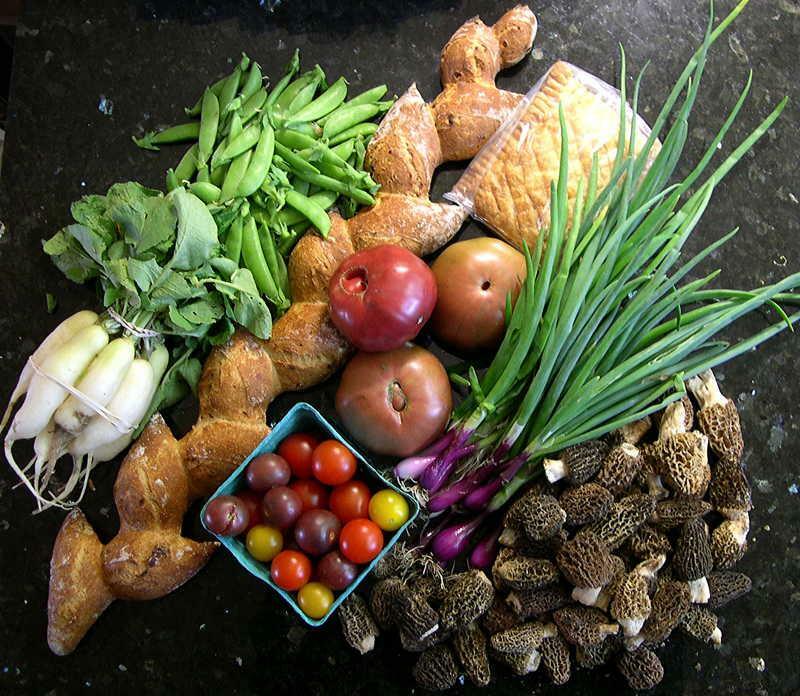 From Broad Ripple Farmers' Market today. First market of BRFM of the year/season. 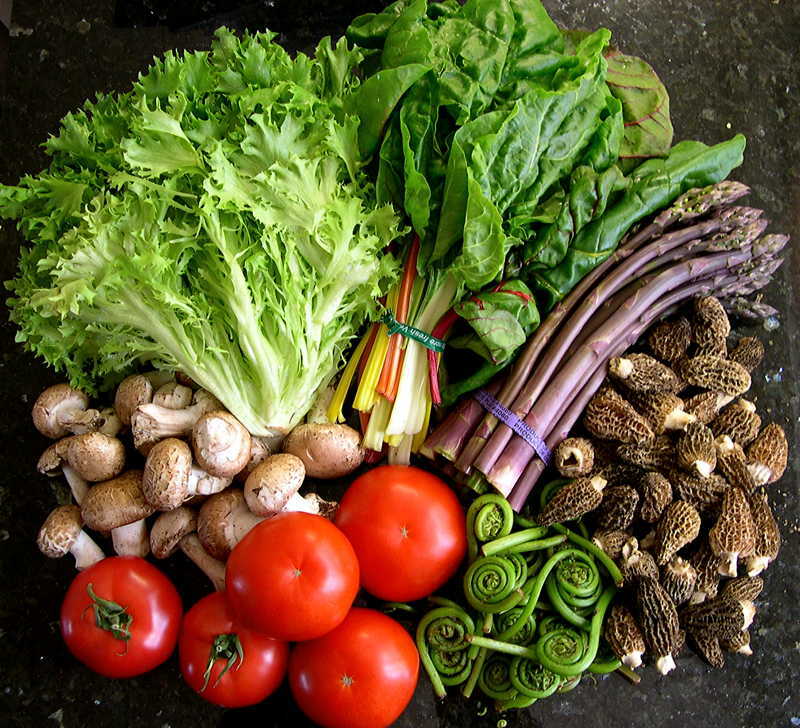 Green frisee lettuse, rainbow Swiss chard, baby portobello mushrooms, greenhouse tomatoes, purple asparagus, fiddlehead ferns, morel mushrooms. That is exactly what I thought at first and was searching the labels for the word yogurt. Do you use this in your coffee or other things? It tastes HORRIBLE. Its got that UHT taste like that canned table cream from Nestles you get at the Mexican stores. I think they are trying to bring European style creams to the USA. 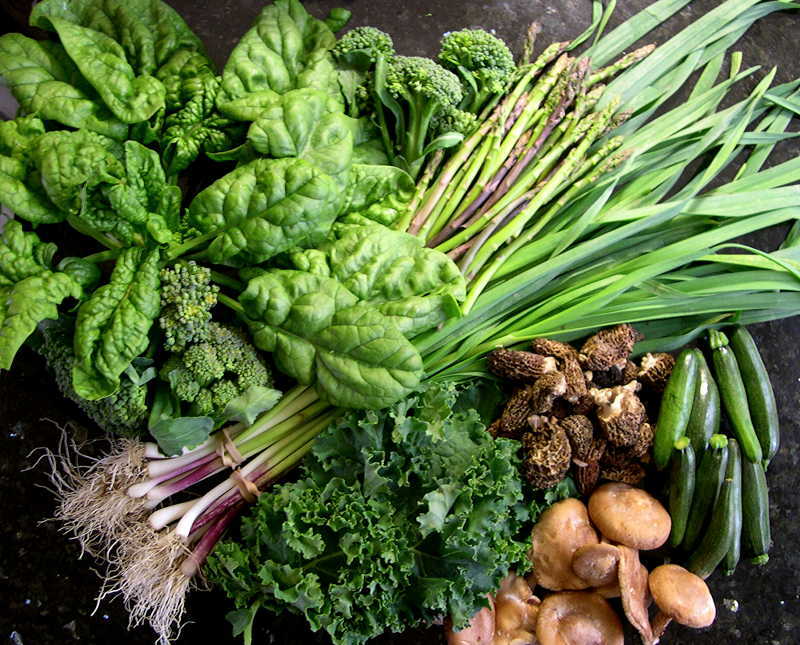 Broad Ripple Farmers' Market — Broccoli florets, stout green/purple-tipped asparagus, baby carrots, green romaine & curly green lettuces, coriander with roots on (by special request), cremini mushrooms w/ tight caps (another special request). 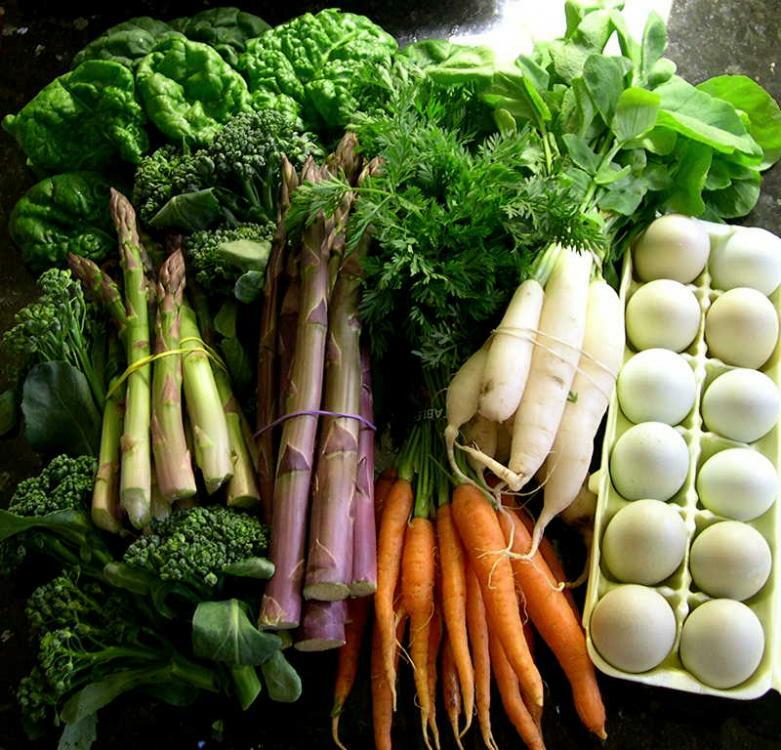 Carmel Farmers' Market — Red romaine & red-green lettuces, stout-stemmed & thick-fleshed leaf spinach, purple asparagus (these average ~11 inches long), White Icicle radishes, farm-fresh green-shelled eggs. Found a new Asian market today. Focus is Vietnam and Philipines but they had a bit of everything. Very comprehensive and indicative of high turn-over. Frogs. Duck heads. Pig blood. Extremely reasonable prices. Pillsbury makes a huge line of frozen Indian breads, did anyone know this? And that green stuff is a unique GREEN Japanese style SRIRACHA. 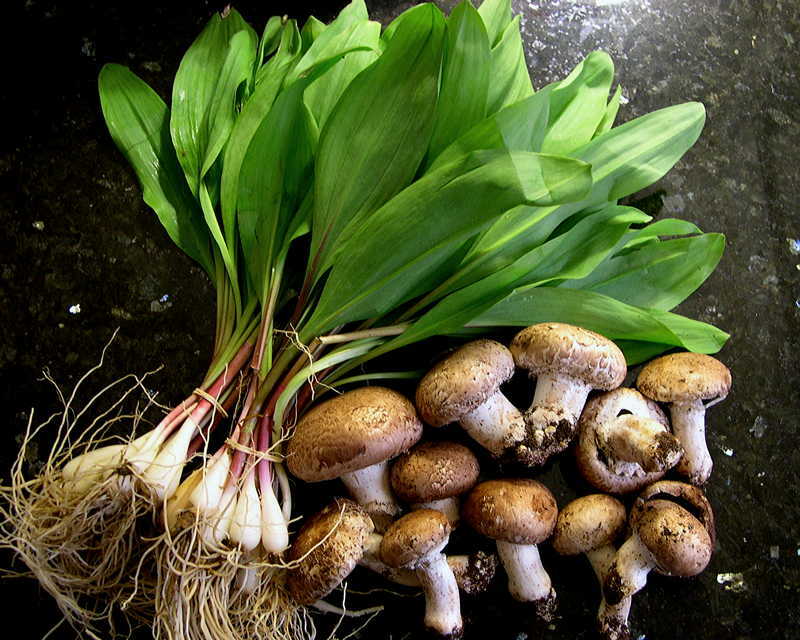 Broad Ripple Farmers’ Market: Ramps, morel mushrooms, thin/pencil green & purple asparagus, shiitake mushrooms, bunching broccoli florets, chicken carcasses (pastured chicken) for stock. Carmel Farmers’ Market: Green/baby garlic, baby kale, teeny green zucchini, two heads of spinach (whole, somewhat spreading heads), BBQ'ed rib tips (pork) w/ tangy sauce. Most of the veggies etc - most were just part of the full amount. Asia Mart: Live “long clams” (razor clams), soft tofu, canned whole straw mushrooms, holy basil chili paste, jarred baechu kimchi, fresh longans, bitter melons, Persian cucumbers, large mustard greens (“kai choy”; 芥菜) (which were actually relatively smaller plants – looks like the new crop of the season), rice bran oil, 8-year-old drinking quality rice wine (a Shaohsing wine variety) (the usual stuff I pick up from here, other than salted cooking rice wines), Noodle King wonton flavor bowl noodles, Nong Shim kimchi noodle bowls (a case), Little Cook “Pork & Mustard Stem” noodle bowls & vegetarian mushroom noodle bowls, Thai basil/Vietnamese rau húng quế, Vietnamese mint variety rau húng cây, young Chinese celery, green onions/scallions (6 bunches for $2), angled loofah (“Chinese okra”; Luffa acutangula), Chinese chive flowers, limes, fresh rice noodles (“hor fun”; 河粉; sheets cut into wide strips), fresh ginger, fresh woodear fungus, Korean radish. Some of the more interesting things for many folks here (I think). Some are just a part of the whole batch. Hmm, I forgot to include the mint. Most of the other stuff listed but not included in the picture I rather suspect would be commonplace to "everyone" (I believe). 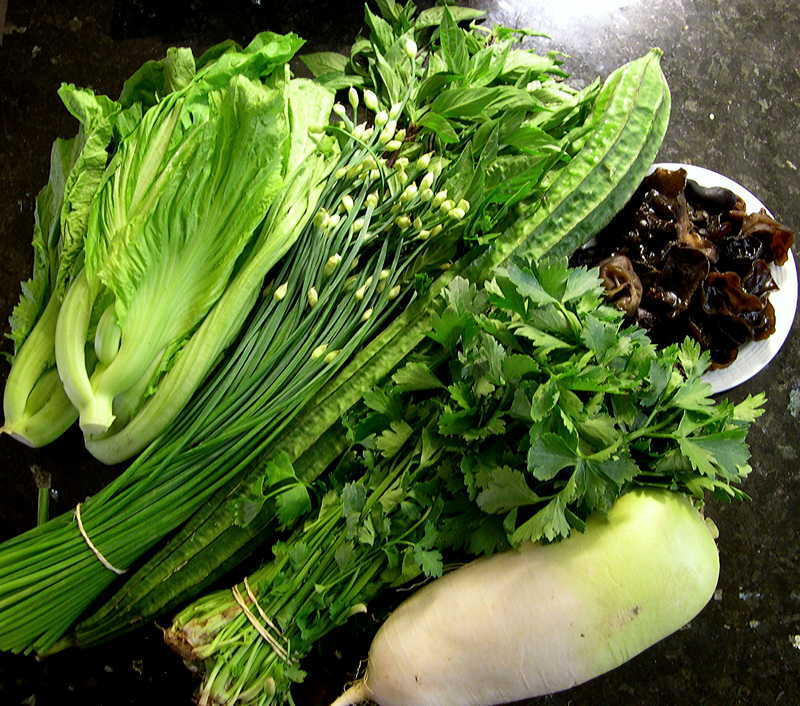 Top left to bottom right: large-type mustard greens, Chinese chive flower buds, Thai basil, angled loofah, woodear fungus, young Chinese celery, Korean radish. 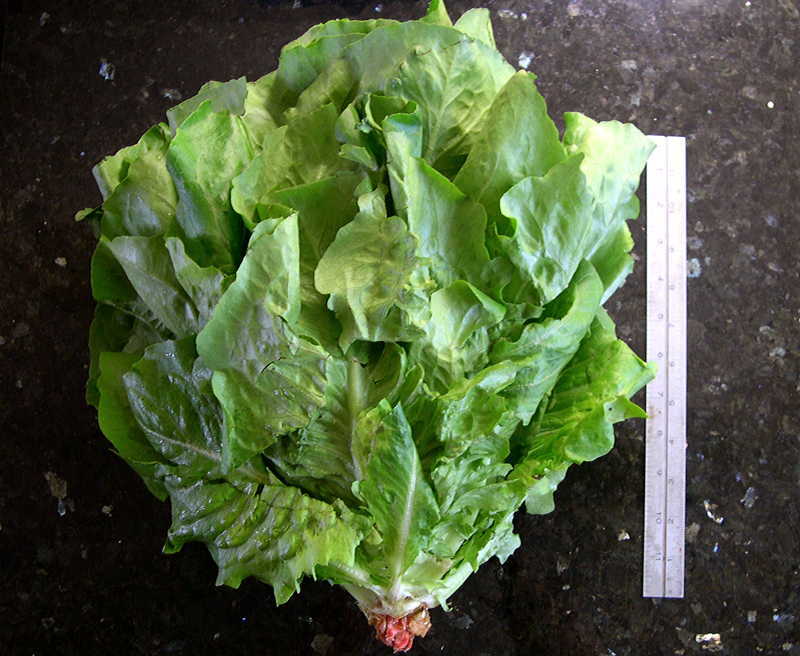 As a gauge of size the loofah is 22 inches long excluding the stem. The Shaohsing-type wine & two jars of the holy basil chili paste. Namaste Plaza: Tilda basmati rice, wax potatoes, curry leaves (கறிவேப்பிலை), fresh gunda, fresh hot green chillies. 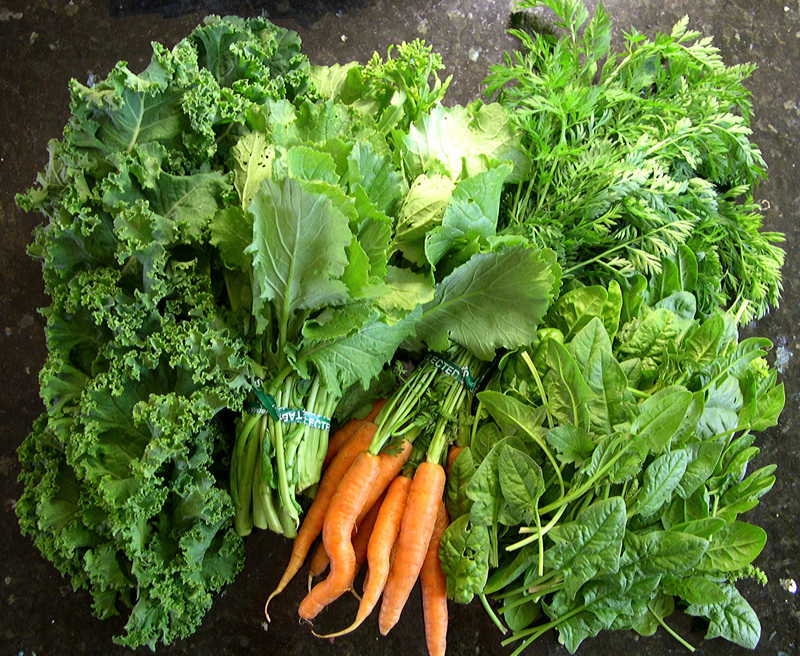 Broad Ripple Farmers' Market: Morel mushrooms, baby spinach, heirloom tomatoes & cherry tomatoes, broccoli rabe, young carrots, nasturtium plants. 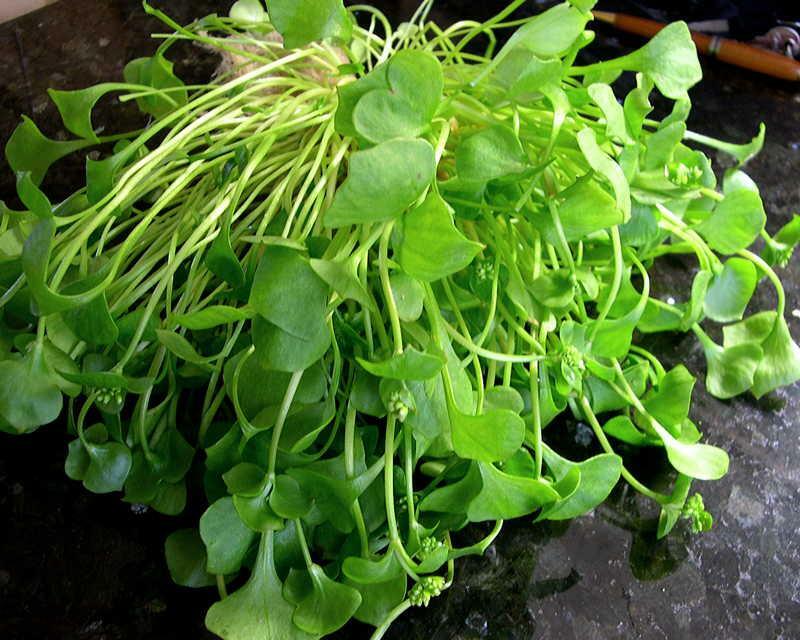 Carmel Farmers' Market: Spring onions (at 8 for $1), ENORMOUS lettuces (red-leaf, green wavy leaf, romaine) at $2.50 each, young kale, Icicle radishes, young sugar snap peas, lox-cream cheese-avocado-veal puff pastry, onion epi loaf. 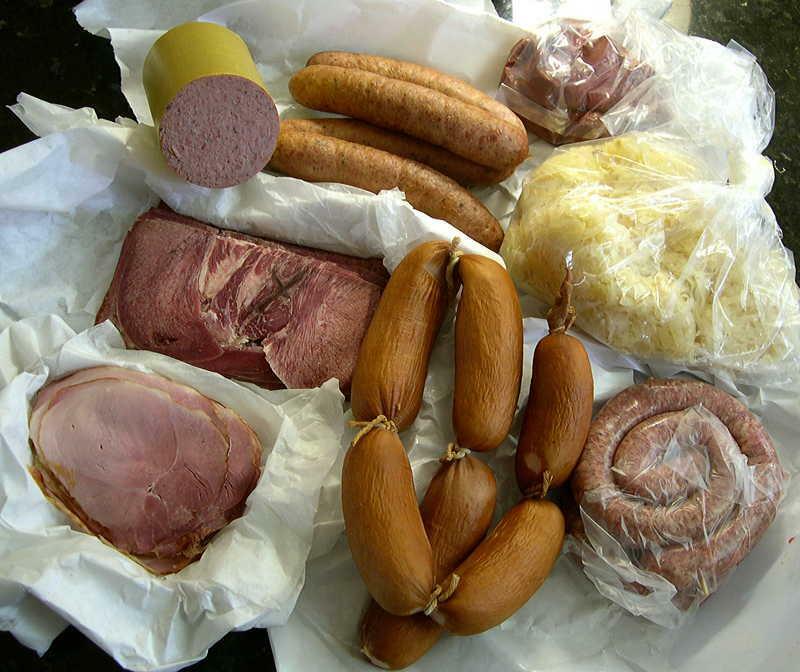 Claus' German Sausage & Meats: Coarse Braunschweiger, pressed tongue, Westphalian ham, potato Wurst, short-tied Knackwurst, calf's liver, bulk Hengstenberg Sauerkraut, pork Schnecken. I would kill for a charcuterie vendor like that within easy driving distance. Lovely. I'm with kayb about the charcuterie. 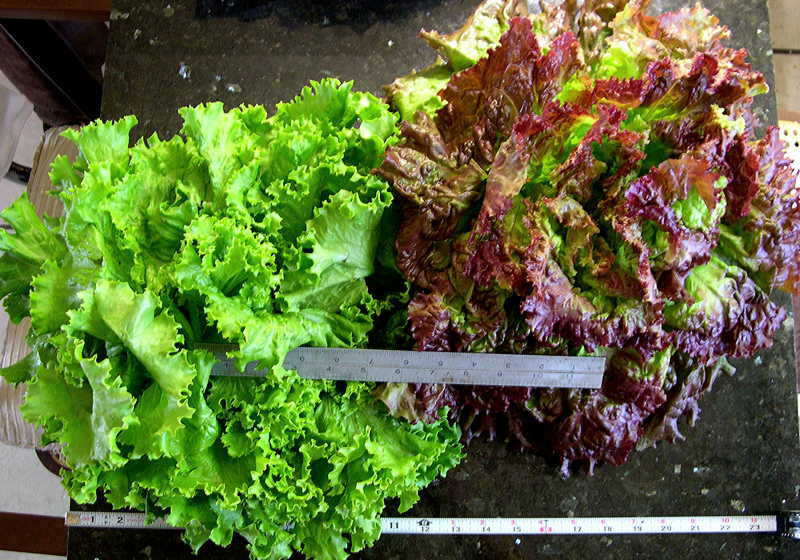 The lettuce heads are amazing, too. What a lovely abundance spring is bringing!